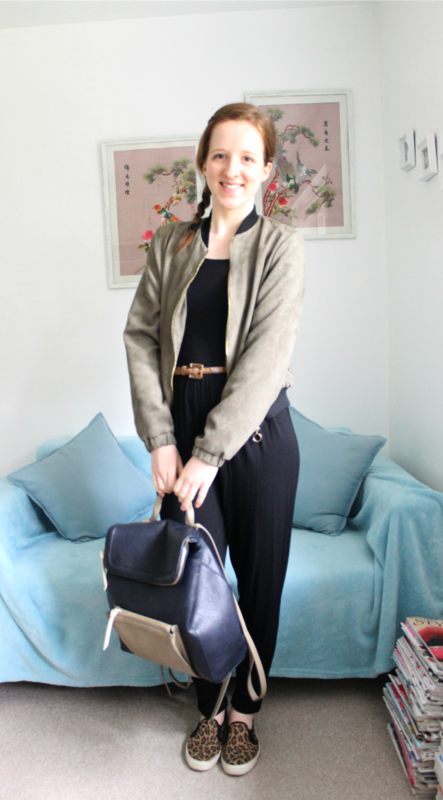 I finally took my new ASOS Bardot Jumpsuit for an outing to work last week. 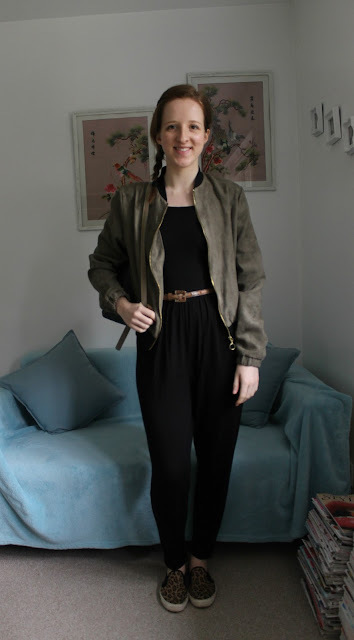 Previously I've worn it for a night out with heels and a leather jacket, but for work I added my favourite leopard skates and suede green bomber jacket. 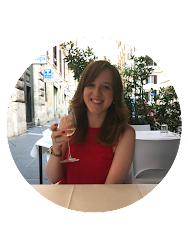 It's made from a jersey stretchy material, so I basically felt like I was wearing pyjamas all day - which isn't a bad thing! The only issue with jumpsuits are that it's a slight palavour to go to the toilet, especially with strapless styles. 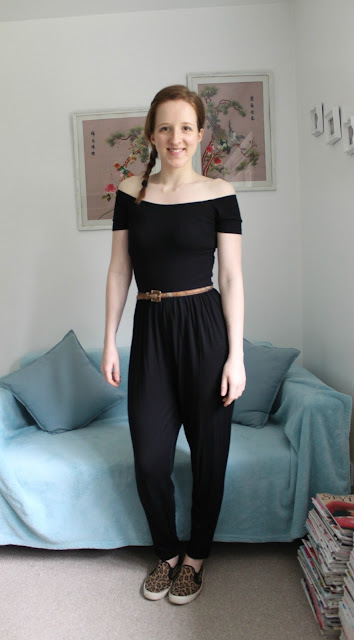 As the first jumpsuit I've bought, I'm looking forward to trying it out with different outfits for work and going out too! Have you ever tried a jumpsuit before? What do you think of the bardot style?